Is “Good Fighting” Beneficial to Marriage? 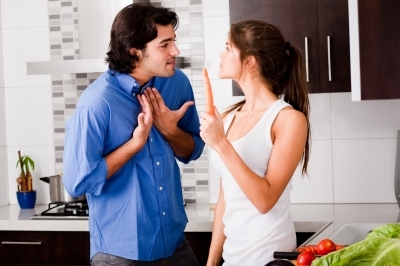 Many couples fear that frequent arguing can signal their relationship’s demise. It may be the type of arguing you do, not the frequency, that determines your fate. Do couples that fight actually have an edge? A 2012 study found that 44 percent of married couples believe that fighting more than once a week helps keep the lines of communication open. William Doherty, professor in the University of Minnesota’s department of family social science says although this study was done in India, it reinforces similar U.S. studies. He warns, however, that only “good fighting” can be helpful, and that “bad fighting” can be destructive. Dealing with an issue can be better than ignoring it, especially if resentment is building. Focus only on the topic at hand; don’t bring up old issues. Don’t bring in third parties or their opinions. Don’t compare your spouse to someone else. Remember to RESPECT one another. Apologize when it’s warranted. This shows you value the relationship. You can check out the source article at the Chicago Tribune: Couples who argue together stay together. Check out Lori Lowe’s book, First Kiss to Lasting Bliss: Hope & Inspiration for Your Marriage, at Amazon.com and in all e-book formats at www.LoriDLowe.com. This entry was posted in Communication, Family, Happiness, Love, Marriage, Marriage Research, Relationships, Research and tagged argue better, Communication, communication advice, communication skills, Family, fight better, fight fair, good fighting, Love, marraige advice, Marriage, Marriage Research, marriage tips, Relationships. Bookmark the permalink. I completely agree with this post, that having arguments every now and then can be very beneficial to relationships, and that it’s more of how we fight rather than what we fight about that will help us. I especially like the tips on good fighting, particularly the first one that encourages us to face whatever issues or concerns we have rather keeping it to ourselves and building resentment toward our partners. But although fighting or having arguments can help our relationships to grow, picking a fight with your partner just for the sake of fighting is something that you should never do. I also agree with this post. Me and my partner often have heated discussions from time to time and it helps us be more open and more communicative with one another. I think it’s vital to keep a relationship healthy. I think it’s perfectly natural to argue. After marriage, we’re not suddenly of one mind! But there’s a healthy type of debate and there’s a destructive kind. I think if arguing is really damaging your relationships, you should look to get advice on relationships from a professional.